Before Edward Norton and Mark Ruffalo donned those infamous purple trunks for films set in the Marvel Cinematic Universe, Eric Bana took on the role of Bruce Banner in director Ang Lee's vastly underappreciated—dare I say, incredible—Hulk. 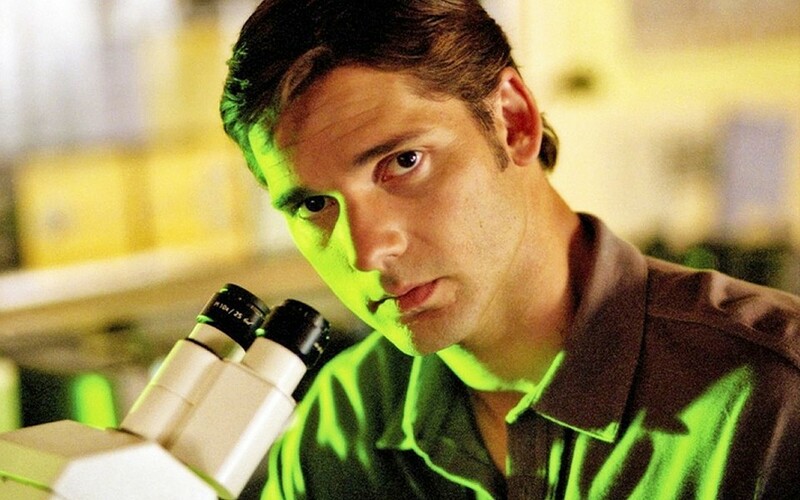 FROM BANA TO BANNER Eric Bana plays scientist Bruce Banner, the titular character's less angry alter-ego, in director Ang Lee's Hulk. Lee, largely known for directing Crouching Tiger, Hidden Dragon, Brokeback Mountain, and Life of Pi, didn't approach his adaptation of Stan Lee and Jack Kirby's green giant as a superhero movie per se, which was against the grain at the time of its release. Today audiences are spoiled with genre bending comic book films from every corner of the spectrum, from comedies (Guardians of the Galaxy, Thor: Ragnarok) to neo-Westerns (Logan). of somber characters with earnest, uncontrived ambitions. BUT—this is a big but—at the same time, Lee boldly set out to make Hulk the most seamless transition of a comic book to screen than had ever been done before. Lee attempts this by splitting almost every shot of the film into panels of the same scene but from different angles. But these panels don't just linger on forever within scenes as they change almost immediately (think Requiem for a Dream). I can understand how some might find the constant perspective shifting headache inducing, but it never bothered me. Although I'm not going to argue that the panels achieve Lee's goal, I don't think they hurt the film either. And Lee does warm the audience up to the style right away during the opening credits sequence, which showcases Danny Elfman's score as well. I'm not sure how Lee predicted Elfman would mesh well with Hulk, given the whimsical nature of most of his music (including his work on Batman and Spider-Man). Maybe it wasn't his choice at all; it could have been a studio mandate given Elfman's experience with superhero films. Whether or not that's the case, he ended up being the perfect pick. There isn't an ounce of quirk in this score. If I hadn't known it was Elfman, my best guesses would have been Hans Zimmer or James Horner.